Special Rapporteur on the right to freedom of peacful assembly and of association Maina Kiai. A group of United Nations independent experts today warned that a draft law being considered by Russia could adversely impact civil society, and urged on the Government not to adopt this legislation. “These amendments constitute a direct affront to those wishing to freely exercise their right to freedom of association,” the Special Rapporteur on the rights to freedom of peaceful assembly and of association, Maina Kiai, said in a news release. According to the Office of the UN High Commissioner for Human Rights, the proposed draft legislation, which is currently being discussed in the State Duma, states that non-commercial organizations (NCOs) wishing to engage in “political activities” will have to register as organizations “performing the functions of foreign agents” before receiving foreign funding. The term ‘foreign agent’ has been considered as carrying a negative connotation in Russia, and could be interpreted as a synonym for foreign espionage. In addition, the draft law requires close monitoring of NCOs and strict control measures by Russian authorities, including a mandatory auditing from a Russian organization whose results would be made available on a Government website or mass media. 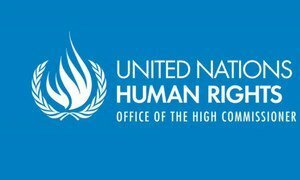 Independent experts, or special rapporteurs – such as Mr. Kiai, Ms. Sekaggya and Mr. La Rue –are appointed by the Geneva-based Human Rights Council to examine and report back on a country situation or a specific human rights theme. The positions are honorary and the experts are not United Nations staff, nor are they paid for their work. An independent United Nations human rights expert today called on Russia to ensure better protections so that everyone can fully participate in the cultural life of the country.